Everyone has a favorite movie or TV car of their youths. The love of these cars can ignite a lifelong passion for automobiles. Some lust for the sharp, stainless steel DeLorean DMC-12 from Back to the Future or the decked-out Aston Martin DB5 from Goldfinger. 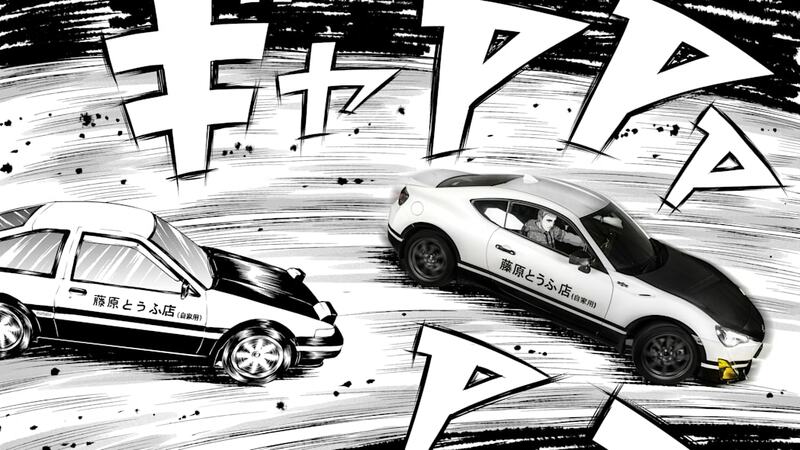 For anime and manga fans, it's the panda-colored Toyota AE86 Sprinter Trueno from the Initial D manga and anime series. Toyota, recognizing the significance of the that car, meticulously reimagined it for a modern audience, basing it on the UK market GT86. 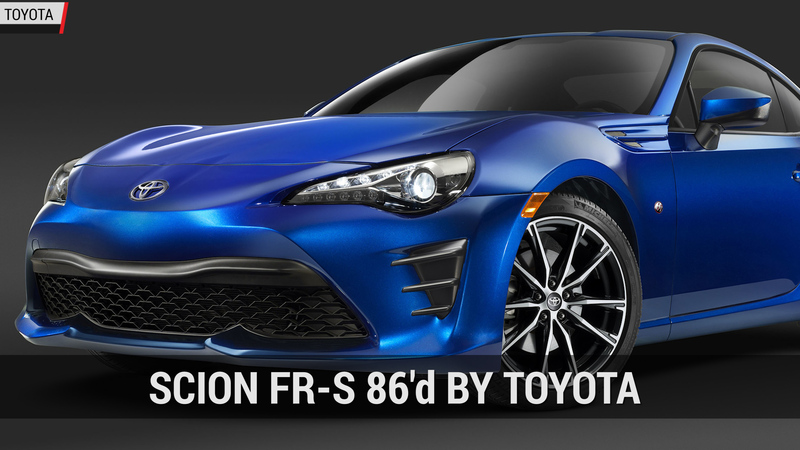 The GT86, sold in the United States as the Scion FR-S and soon to be rebadged as the Toyota 86, is considered by some to be the spiritual successor to the rear-wheel-drive AE86 Corolla from the 1980s. Both are reasonably affordable, lightweight cars with a propensity for oversteer. 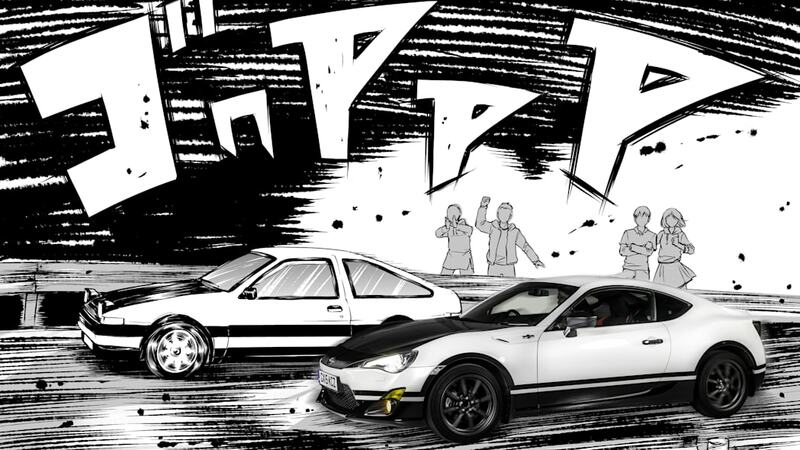 The original AE86 from Initial D was a highly modified but realistic drift machine. 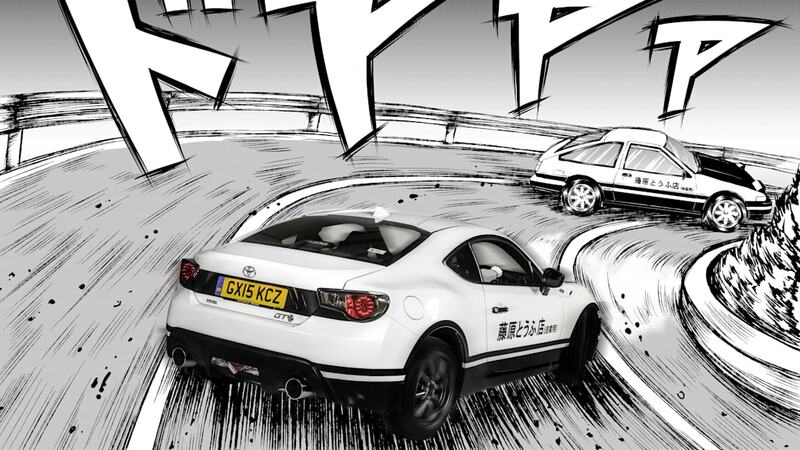 The amazing feats of that tofu delivery car as it raced everything from Mazda RX-7s to a Honda S2000 turned the little Toyota into a cult icon. That AE86 itself was inspired by the personal vehicle of Japanese racing driver Keiichi Tsuchiya. 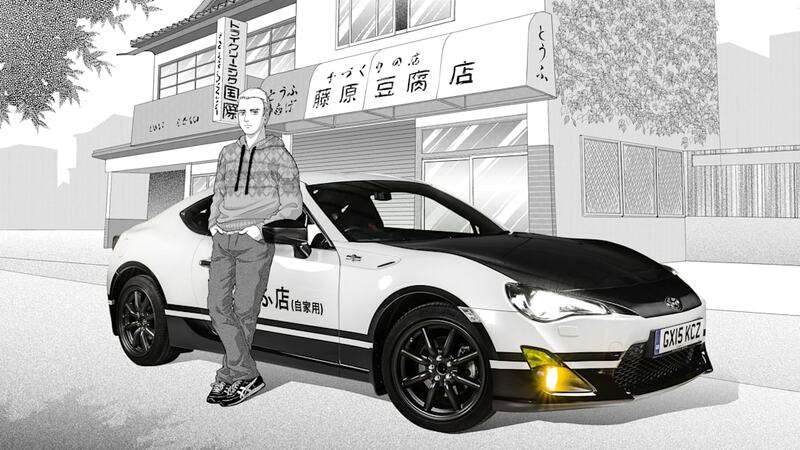 Tsuchiya served as both an inspiration and supervisor for Initial D. Many of the modifications on the Initial D car, like the TRD carbon-fiber hood and Fujitsubo exhaust, car were exactly the same as Tsuchiya's real-life vehicle. Toyota is no stranger to crafting modern incarnations of classic vehicles. Last year the company created a Back to the Future Tacoma. 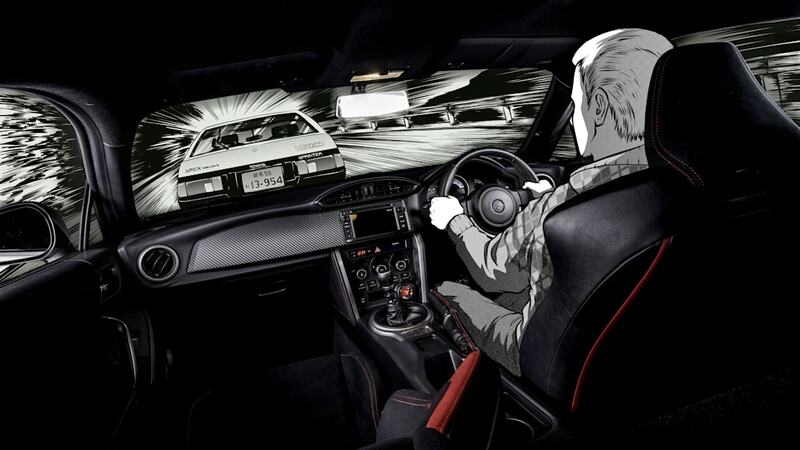 Toyota's Initial D concept car uses the same parts wherever possible. Like the original, it has a carbon-fiber hood, Fujitsubo exhaust, and black Watanabe F8 wheels. The suspension, lights, and body have all been modified. Even small details like the engine cover and door handles were modified to recall the fictional car. The end result is a fantastic creation that pays great homage to the original. 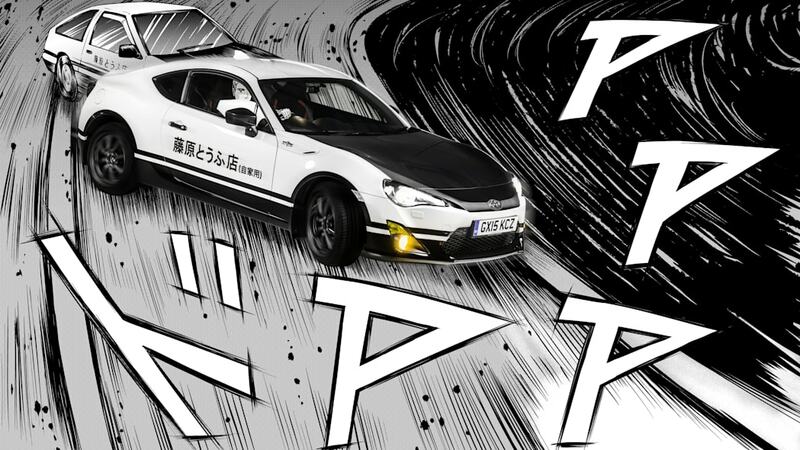 Toyota went as far as hiring UK manga artist Sonia Leong to design a series of backdrops that place the car in the same action shots as the original series. While this one-off vehicle is just a concept, most of the parts are available to purchase for fans who may be inspired to create their own version. Toyota's concept will be on display at various motoring shows across the UK this summer.